It’s fair to say that the marketing and sales worlds are customer centric. Companies that produce products to be sold to the general public are well attuned to their customers’ needs. The process of launching a new product is also customer centric as companies aim to evaluate whether such products will meet the expectations, needs and desires of their customer base. 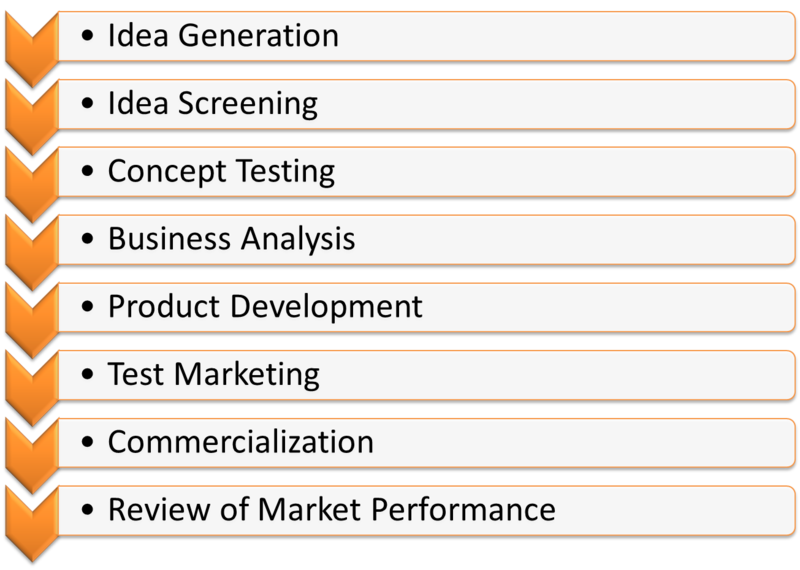 The process of launching a new product may be understood through the New Product Development model (NPD) which consists of the eights stages shown in the graph below. The third stage, Concept Testing, focuses on prospective customers and answers questions such as what are the benefits the new product will provide? How is it different from existing products already available on the market? How will prospective customer react to the product? Will the product be cost effective and financially attractive to customers? Answering such questions is achieved through conversing with potential customers and using qualitative and quantitative methodologies. Companies looking to launch new products will conduct in-depth interviews with prospective customers, test new products among focus groups and use questionnaires to assess the degree to which the new product answers customers’ needs. Presently, digital diplomacy has adopted one practice from the marketing and sales world and that is the tyranny of numbers. Like the board members of the Coca Cola Company, or the executives of an American broadcasting company, MFAs measure their efficiency through metrics and a “bottom line” mentality. Foreign ministries are focused on measuring their audience size in terms of number of followers on social media, number of re-tweets on twitter and number of likes on Facebook profiles. While these figures are important, they are also misleading. Social media metrics are like the Nielsen ratings; they provide insight with regard to audience size but say nothing of the quality of television shows. Idiotic sit-coms may therefore rule the airways while offering nothing more than familiar jokes and worn out punch lines. Similarly, the number of followers on a MFA’s twitter profile says nothing with regard to the quality of interaction between diplomatic institutions and their audiences and whether MFAs actually cater to the needs of their followers. Like the Coca Cola Company, many MFAs now find themselves competing over audience attention in an increasingly hostile and competitive environment. Over the past weeks, numerous reports and articles have dealt with the information war being waged between Russia, the US and European nations. Most of these articles have declared that Russia is winning this war. In addition, the US in the midst of a social media war with ISIS and Israel continue to combat Palestinian cyber narratives. Winning such information wars necessitates that MFAs attract audiences to their social media sites, and retain them over long duration of time thus preventing audiences from migrating to an adversary’s social media pages and accepting his ulterior narrative. Attracting followers, and retaining them, calls for a conceptual shift in the practice of digital diplomacy in which MFAs understand and meet the needs of their followers. If marketing is customer-centric, digital diplomacy must be follower-centric. Thus, MFAs must now endeavor to fully understand what their followers are looking for in terms of content, information and engagement. The US State Department, for example, uses its Facebook page to manage America’s image and promote its global initiatives such as combating climate change and offering foreign aid to third world countries . Yet such information may be useless to social media followers. Perhaps such followers are looking for in-depth analysis of the struggle against ISIS? Perhaps they are seeking to better understand the volatile conflicts re-shaping the Middle East? Or maybe, they are simply looking for videos of cats playing pianos. The point is that few MFAs have ever bothered to ask their followers what kind of information they are looking for. Hold Reverse Q&A Sessions-social media meetings between MFAs and their followers in which foreign ministries query their audiences rather than other way around. MFAs can ask questions such as: what information is relevant to you? What areas of our activity interest you? What services should we provide online (e.g., consular assistance, travel warnings)? What issues would you most like to learn more about? Are you looking to engage with us? If so, what would you most like to ask us? How would you most like to receive information- posts, articles, videos or infographics? Google Hangout Focus Groups- many MFAs use google hangouts in order to hold Q&A sessions with their followers (e.g., US State Department Google hangout on disability rights). Google Hangouts may also be used by MFAs in order to create focus groups with a limited number of followers from all over the world. In such focus groups, MFAs may better understand their followers’ needs, desires and even their incentives for following an MFA online. Questionnaires for Avid Followers– anyone studying MFAs online soon learns that some followers are more active than others. Such avid followers (or fans) tend to comment on posts, share posts and re-tweet MFA tweets. Fans may serve as an important resource for MFAs looking to better understand why certain individuals become “online advocates” disseminating MFA content among their on social networks. Understanding fans could be achieved through questionnaires. Nowadays, quantitative questioners can be produced, disseminated and analyzed with little cost and little hassle. Better Segmentation of Audiences– MFA social media followers and embassy followers may vary in terms of information needs, desires and incentives for following diplomatic institutions online. MFAs may therefore need to better differentiate between content shard at MFA and embassy level social media sites. Presently, many embassies author little content and rely mostly on MFA content. Thus, there is a need to converse, and better understand, MFA followers as opposed to embassy followers. Likewise, there may be a difference in the characteristics of followers on each digital diplomacy channel. While some people may use twitter, others may be more active on Facebook or even YouTube. What characteristics determine such preferences (e.g., age?) and do they influence social media content that should be published on each medium? As is the case with most institutions that have migrated to social media, MFAs are still adjusting to this new environment. Yet as the completion over followers and narratives grows more fierce, MFAs must come to view social media followers as assets rather than liabilities and adopt practices that help them attract, and retain online audiences. Digital diplomacy must therefore become a follower-centric form of diplomacy. Posted in Uncategorized and tagged Digital Diplomacy, embassy, Facebook, Marketing, MFA, New Product Development, Sales, Social media, The Tyranny of Numbers, Twitter. Bookmark the permalink.